I am a long time customer of Miss Saigon in the heart of Chinatown in the south. Hurstville that is! Miss Saigon is buzzing with locals, students, families and everyone else that wants great Vietnamese dishes on the cheap. When you enter just grab a table. This is what I call a slap up restaurant. Laminated tables, tiled floor, no frills table service but buzzing atmosphere and everyone is here for the flavours! The staff will get you menus and a pot of tea (always ask for it hot as it is usually just given to you luke warm). Cutlery and condiments can be found in baskets at the end of the table. It is an extensive menu broken down into entree, noodles, rice, seafood, chicken, fish, beef and pork along with hotpots, soups, grills and drinks. The menu is listed in both English and Vietnamese. When I visit Miss Saigon I can be a creature of habit and tend to go for my favourites...so I have to start mixing it up a bit and start tasting more dishes, but it's hard when you love certain dishes. The seafood laksa is full of seafood and noodles and the soup base is creamy and rich with coconut milk with just the right amount of chilli kick, although adding chilli sauce is always a must for me! Hotter the better. 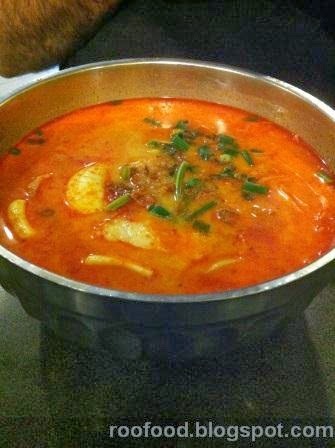 I would have to say my favourite goto dish here is the seafood hotpot. 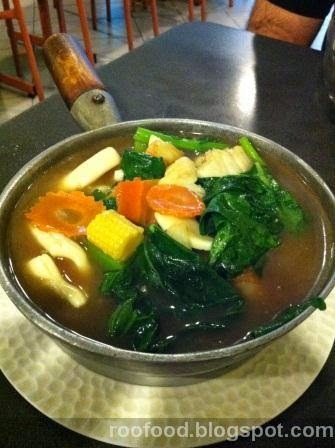 Packed full of squid, prawns, white fish, tofu, carrots, greens, baby corn and an incredible sauce in a bubbling hotpot. Definitely a favourite. Sauce and a basket of herbage arrive at our table in anticipation of our meal. 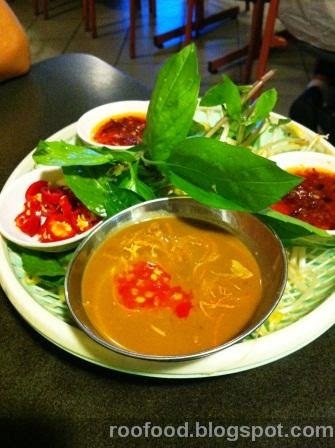 A peanut chilli sauce, chilli sauce and a bowl of fresh chillis give us different options for our rice paper rolls. 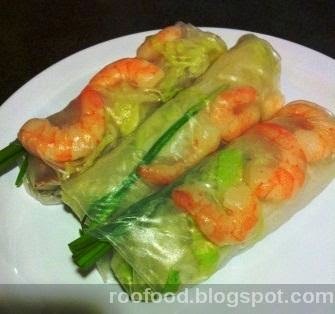 An entree of pork and prawn rice paper rolls are filled with vermicelli noodles, shallots, prawns and pork with lettuce. The rice paper is glutinous and sticky. I love fresh rice paper rolls. Both sauces are fabulous drizzled over them. 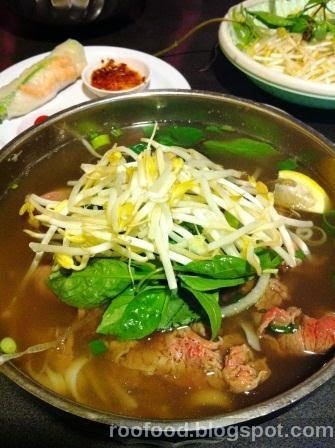 The herbage basket is full of basil, bean shoots and lemons which are then put on top of a huge steaming bowl of fragrant pho broth, filled to the brim with rice noodles, huge pieces of rare beef, shallots and herbage slowing cooking in the hot broth. Miss Saigon are well known for their good pho. Comes highly recommended for cheap good grub....but I will let the food speak for itself!